After a year-long health study, the Duke Energy wind turbine project in Wisconsin was declared a human health hazard. The Board of Health of Brown County voted to take the action on October 14, 2014, according to JMKraft writing in Illinois Leaks (Duke Energy’s Shirley Wind Farm Declared Health Hazard). 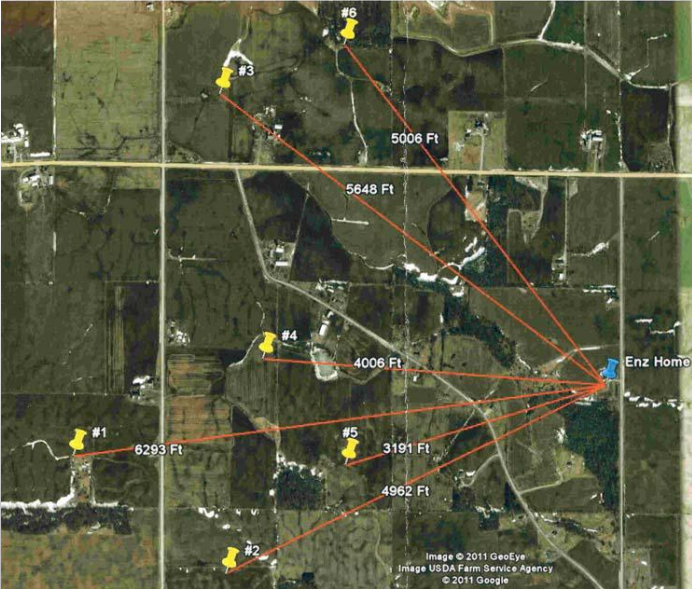 The decision was based on a report of a year-long study conducted by the Enz family to document infrasound in homes within a radius of 6 miles of the Shirley Wind turbines. To declare the Industrial Wind Turbines in the Town of Glenmore, Brown County WI a Human Health Hazard for all people (residents, workers, visitors, and sensitive passersby) who are exposed to Infrasound/Low Frequency Noise and other emissions potentially harmful to human health. Four different acoustical engineering firms performed the study, “A Cooperative Measurement Survey and Analysis of Low Frequency and Infrasound at the Shirley Wind Farm in Brown County, Wisconsin,” which was partially funded by the Wisconsin Public Service Commission. The technicians recorded readings from several homes the residents had abandoned (citing turbine emission health impacts). The results included a statement agreed upon by all four firms – some of whom work for wind turbine developers – that in their opinion, “enough evidence and hypotheses have been given herein to classify LFN and infrasound as a serious issue, possibly affecting the future of the industry.” WWMA summarized the study in a January 2014 post. Unlike most other products, where prior product safety is established, the wind industry has never been required to show there are no adverse health effects. … [I]n fact the wind industry are well aware of the serious health problems their products directly cause, and indeed that they have known for thirty years. There are eight 500-foot turbines in the Shirley Wind project. This news is most important for all people in the world who are threatened with the installation of mega-watt wind turbines in their neighborhoods. It is reason for the immediate removal of those turbines that are already making people ill.